Everyone knows that the San Francisco area is a thriving, vibrant region—making it an ideal place for local business owners to make a big impact when it comes to marketing and expanding their companies! At Golden Gate Sign Company, we help our customers achieve this by offering durable, customized composite signs that are built to hold up to heavy-duty applications while providing high-impact curb appeal. Professional design consultations from trained, skilled experts in the field. In-house fabrication services to guarantee exceptional quality standards. Full-service permit procurement that simplifies the sign installation process. Expert installations completed by trusted employees with state-of-the-art resources. Alumalite Signs: With double-sided aluminum facing and a heavy-duty corrugated plastic core, Alumalite signs are strong, lightweight, and easy to install. Dibond Signs: As a rigid, lightweight, and weather-resistant material, Dibond is an excellent choice to create a composite sign that resists warping, cracking, and discoloration. Nu-Alum Signs: Nu-Alum signs allow for superior design versatility, and with an aluminum face backed by plywood, it offers increased structural strength. Max Metal Signs: From indoor directional signage to outdoor signage that needs to hold up to severe weather, Max Metal composite signs are the perfect solution for any application. 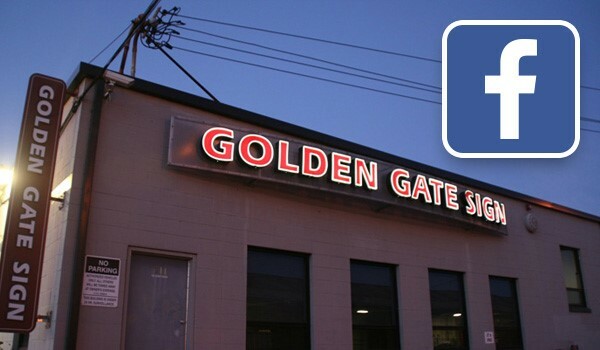 At Golden Gate Sign Company, we know what it takes to stand out in the bustling market of San Francisco, and we can help you take your design ideas and bring them to life with high-quality composite signage fabrication—at an affordable price! Learn more about our full-service options and customizable products today by giving us a call, or request an appointment for your free estimate and consultation now by filling out our brief, online quote form.